Former Zaman journalist Tuncer Çetinkaya has been taken into custody anew 2 days after he was released from 8-month-long imprisonment. 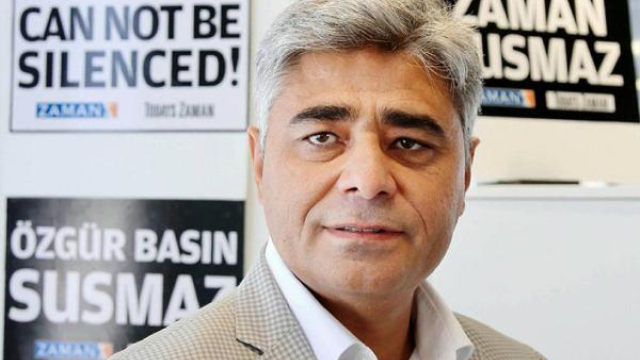 Zaman’s former local news representative in the southern province of Antalya, Çetinkaya was put in a pre-trial detention on July 27, 2016 as part of the government’s post-coup crackdown against critics. He was released on judicial control along with six other local reporters on Mar 30. While the details have yet to come out, Çetinkaya was detained again on Saturday, according to a local news outlet. Turkey arrested some 200 journalists in total after the July 15 coup attempt and currently there are around 150 journalists under arrest.